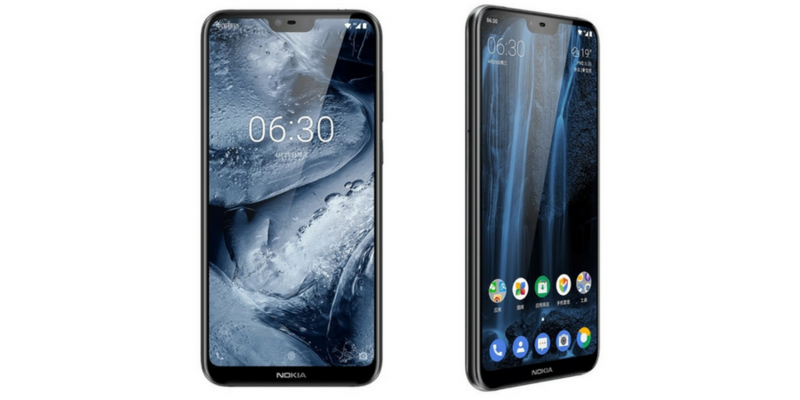 HMD Global has launched its new flagship device Nokia X6 in China. This is the same phone that was rumoured with the name of Nokia X. It comes with a notch and 19:9 display. Nokia X6 features a 5.8-inch 19:9 FHD+ display with Gorilla Glass 3. It runs on Android 8.1 Oreo out of the box. The phone lacks octa-core Snapdragon 636 processor with Adreno 509 GPU. It comes in three models: 4GB with 32 GB storage, 4GB with 64 GB storage and 6GB RAM with 64GB of storage. Storage is also expandable with microSD card. The phone has dual camera setup where it has 16 megapixels primary sensor and 5 megapixels secondary monochrome sensor. It also has 16 megapixels front camera. It also features “Bothie” mode for using front and rear cameras simultaneousl. It supports 4G VoLTE, Wi-Fi 802.11ac, Bluetooth v5.0, GPS/ A-GPS connectivity options. It also packs 3060 mAh battery with Quick Charge 3.0. Dimensions measure 147.2 x 70.98 x 7.99mm. It comes in Black, Dark Blue, and Silver colour options.